At the University of Kansas, change has become more routine than the arrival of the state’s spring tornadoes. Next came the administrative overhaul to pay for it. Thus was launched Changing for Excellence, an ambitious administrative makeover with three primary goals: Be more efficient, save money to throw in the strategic plan’s pot, and improve services. After conducting an RFP and eventually hiring Chicago-based Huron Consulting Group, KU put 11 areas under the microscope: the budgeting process; shared service centers; construction; domestic enrollment management; international enrollment management; facilities; human resources; libraries; procurement and sourcing; research administration; and information technology. For each area, Huron created a detailed business case outlining expected savings, investment costs, risks, and implementation plans. KU leaders didn’t want to waste any time moving ahead, according to Mike Phillips, senior director of Huron’s higher education practice. “There was a desire by KU leadership to not wait a couple of years to get underway,” he says. “They were committed to making the changes sooner, rather than later. The initial projects—facilities consolidation, HR process redesign, procurement, and strategic sourcing—began in November and December 2011. Here’s a look at where three of the initiatives—IT, shared services centers, and procurement—stand today. Reorganizing and redefining IT staff and organization. Increasing usage of multifunction devices for desktop printing. Implementing a single identity management system across all campuses. His challenge was to integrate, centralize, and find duplicate resources across the university and then realign those resources for teaching, research, and strategic missions. Translation: His team took possession of 700 servers from across the university and moved more than 50 professionals to the IT payroll, bringing it to a total of 275. Although the implementation hasn’t always been easy, Lim reports that 97 percent of IT customers are now happy with the service provided. Nothing about the administrative master plan generated quite as much discussion and controversy as shared service centers and whether they should be implemented at KU. After visiting various campuses with shared service centers that were in different states of maturity, KU leaders opted to develop a regional shared service center model in which each of the five centers distributed around campus serves a specific group of customers. Functions concentrate on human resources, finance, and post-award research administration. In the past decade, perhaps no business process at KU has been more dramatically altered than procurement. The opportunities identified by the procurement initiative were (1) to develop a strategic sourcing program as part of ongoing operations; (2) implement an e-procurement solution to streamline approval and settlement; and (3) merge purchasing and accounts payable to form one unit: procurement services. With procurement being one of the first of the university’s areas to be tackled, this initiative was started in 2011 and took 18 months to complete. “The unit has been reconstituted, the technology has been implemented, the new processes are all working, and the advisory committees are set up,” Swanson says. He adds that the advisory committees meet with procurement staff to determine which opportunities to pursue for future sourcing events. Before the initiatives could reach the point where they are today, KU leaders and consultants did their share of talking—and listening—to stakeholders. A Changing for Excellence website http://cfe.ku.edu/index.php became a communication tool for information and updates on each of the 11 initiatives. Suggestion/question boxes allowed faculty and staff to anonymously make suggestions or ask questions about the initiatives. The questions and answers were posted on the Changing for Excellence website. She points out that faculty and staff will most likely harangue leaders with questions and appeals such as, “Why do we have to do this?” or “This is changing my life,” or “We’ve never done it this way. The professor, Marilu Goodyear, conducted training for both the strategic plan and the administrative makeover. He also suggests notifying employees only about four to six weeks in advance that they are scheduled to become a part of the shared service center. “When you give more time, it creates an atmosphere that magnifies anxiety and doesn’t help people become constructive in how they successfully make the change,” Anderson observes. Goddard adds that she couldn’t—and wouldn’t—do a “slash and burn,” while, at the same time, asking administrative staff to tolerate the intense levels of change associated with adopting new business processes and systems. “If I were to say, ‘And you have to worry about losing your job,’ I’m not going to get people to put the kind of effort into this that they are. You have to start by changing the culture. Once you’ve got everybody committed to changing the culture, you’ll be able to generate the savings,” she says. Yes, we published—for the first time—how KU compared to peer institutions on a variety of key scholarly performance measures. We were, quite frankly, near the bottom of a group we aspired to be in the same league with. It was an eye-opening experience for people who were either not aware of our standing or in denial. We needed an action plan. Strengthen recruitment, teaching, and mentoring to prepare undergraduate students for lifelong learning, leadership, and success. Prepare doctoral students as innovators and leaders who are ready to meet the demands of the academy and our global society. Enhance research broadly with special emphasis on areas of present and emerging strength to push the boundaries of knowledge and benefit society. Engage local, state, national, and global communities as partners in scholarly activities that have direct public impact. Recruit, value, develop, and retain an excellent and diverse faculty and staff. Responsibly steward fiscal and physical resources and energize supporters to expand the resource base. Possibly the single biggest change is the overhaul of the undergraduate education experience. We are now in our second year of the KU Core, the first-ever universitywide undergraduate curriculum. With six primary educational goals and a number of ways to meet those goals in terms of courses and experience, study abroad, and research, the KU Core is designed to prepare students for what they need to succeed throughout their lifetimes. Previous efforts to create a coherent curriculum were not successful. The whole process was all about involving people from the start—not having only committees work on the strategic plan. We asked for direct involvement from every faculty member. For example, when we talked about what a new curriculum could look like, every single faculty member—through departmental faculty meetings—had the chance to submit nominations for what the educational goals should be. After the nominations were compiled, we asked and received their educational goal prioritization from the departments. We received similar input from staff, student, and alumni focus groups. Another example: When we developed the four strategic research initiatives for our strategic plan, we spent a year identifying priorities through a broad, open process. To bring the best ideas forward, we wanted to involve and engage people directly. After inviting submissions from faculty, we received 104 proposals involving more than 900 people. Departments, students, and community and alumni focus groups prioritized them, and the strong proposals clustered into four groupings, which became our four strategic initiative themes. Because the success of the plan depended upon sufficient resources, we looked into ways in which we could tighten our belts and create our own resources. We engaged Huron Consulting Group to identify administrative efficiencies in a process that we call Changing for Excellence. To help faculty and staff decide which changes were most appropriate and how to implement them, we created an administrative change management team and plan. The changes happening at KU are not always easy, but we’re constantly getting better in what we do. Our faculty and staff have shown themselves to be very resilient. People are energized and committed to making sure that KU is as excellent as we all believe it to be. Clearly, we are moving forward. JEFFREY S. VITTER is provost and executive vice chancellor, University of Kansas, Lawrence. Of our 11 initiatives slated for administrative makeover, I selected facilities as a quick win. It was easy. It was obvious what we needed to do. It wasn’t going to impact faculty, so we wouldn’t have that angst. I could clearly see where we could get immediate savings to plow into other initiatives. I believed we could be visibly successful, very quickly. I was wrong. A month into the process, I realized we had to change the management culture within facilities or we would never be able to move the needle. That was a real eye-opener. After a climate survey with dismal results, I scheduled 48 meetings with every shop—without the supervisors. I met with employees during their shifts. A bunch of those meetings were at midnight. I tell you what: This place is a completely different organization at midnight than it is during the day. The people who work the third shift—the power plant and custodial folks—are not used to seeing anybody from Strong Hall, and their level of cynicism that “Nothing was going to change” was far greater than that expressed by workers during the day. I got through maybe a third of those meetings before realizing we had to make some very difficult decisions at the top. We had just two or three staff reporting to each supervisor. We also had a huge middle-management level. While I had promised not to reduce the workers, we would have to make management changes. I laid off the top two people and offered a voluntary retirement across campus. Most of the other senior managers in facilities jumped into that program. With the buyout, we were able to change the entire management structure, hiring people from within who believed in what we were doing and would put safety and respect for workers first. For the first time, everybody in facilities started to see that this time something was going to happen. After merging two different maintenance units, we went from central shop to zone management, which created zone manager positions. We interviewed throughout the facilities organization, always hiring from within. I wasn’t going to bring in any more people. We offered classes on creating a resume, interviewing, answering questions, and even offering advice on what to wear. We opened it up to everybody and hired all six zone managers from within the ranks. To give everybody the tools they needed, we had to re-implement Maximo (a group of manuals and tutorials), because our maintenance and work order management system had been so modified it no longer worked properly. We bought new servers and hand-held devices for all of the zones so that employees could get work orders electronically without having to go back to the shop to pick up a piece of paper. When we started the facilities merger, our goals were to be more efficient, improve services, and save money. As we moved into this initiative, another goal became apparent: to provide better leadership and working environments for our staff, professional development, and clearer paths to move up in the organization. That goal has become a key to everything we are doing. Today, when I walk down Jayhawk Boulevard, facilities people stop and talk. They hold their heads up. They’re happy. If they see something wrong, they fix it. They don’t wait to be told. They are so incredibly productive compared to where they were three years ago. While it didn’t turn out to be quick, this was certainly a worthwhile win. DIANE GODDARD is vice provost, administration and finance, University of Kansas, Lawrence. 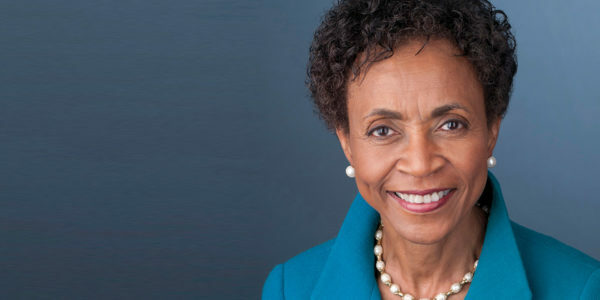 Since her arrival in 2009, Chancellor Bernadette Gray-Little has been taking steps to elevate the University of Kansas and earn it recognition as a top-tier research university. First, she commissioned a comprehensive strategic plan to, among other things, overhaul the undergraduate education experience and increase support for research and scholarship. 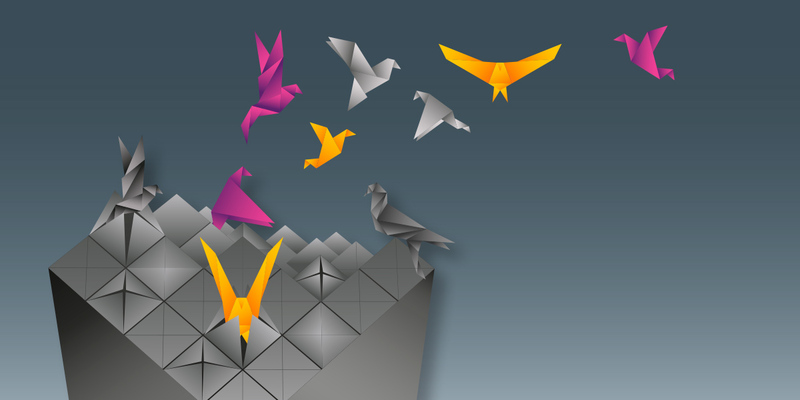 To pay for the proposed strategic initiatives, Gray-Little then championed an administrative makeover to reduce costs, increase revenues, and upgrade service to internal customers. You tackled a lot of change at once. Why not consider bite-size changes? We decided to address several major areas all at once. We focused on finding ways to be more efficient, so that in this time of constrained budgets we can invest in other aspects of the university where we’re not going to get external resources. Before proceeding, we had a great deal of public conversation, information sharing, and groups coming together to talk about what should happen and how it should happen. That doesn’t mean that everyone was happy, but we did have conversations with large numbers of people. Maybe there should have been even more communication. What were the political risks for you in championing this change process? The risk is failure and internal disturbance, but you also have the potential for political gain. Being seen as financially responsible by trying to take a serious look at university finances and procedures during a time of budget constraints. What did you find most challenging about the process? While the outcome can seem very obvious, getting the groups involved to agree and pursue an obvious solution is as much of a task as anything else. If a primary objective is to become more efficient, why didn’t you just downsize staff? Part of this process did involve allowing staff and faculty close to retirement to retire and receive a buyout. That was two years ago. In some areas, staffing was reconfigured so we might have fewer people. The efficiencies didn’t always indicate we had too many staff members. The efficiency was being able to increase capacity with the staff that we have. I’ll go back to where [our conversation] started today: Would we have done better to be more gradual? Of course, I can’t answer that question. We’re doing this in conjunction with academic planning. We hope that by the time we finish the academic plan, we can determine our available resources. That’s the advantage. The disadvantage is the overlapping activity, planning, and change going on at the same time. While this allows us to see places of crossover and interaction, the overlap also makes it more complex. Would a gradual plan have been more effective? We’ll never be able to answer that question.